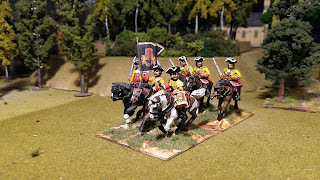 I had these lying around unused and decided to paint them as Spanish Dragoons. 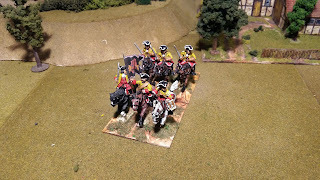 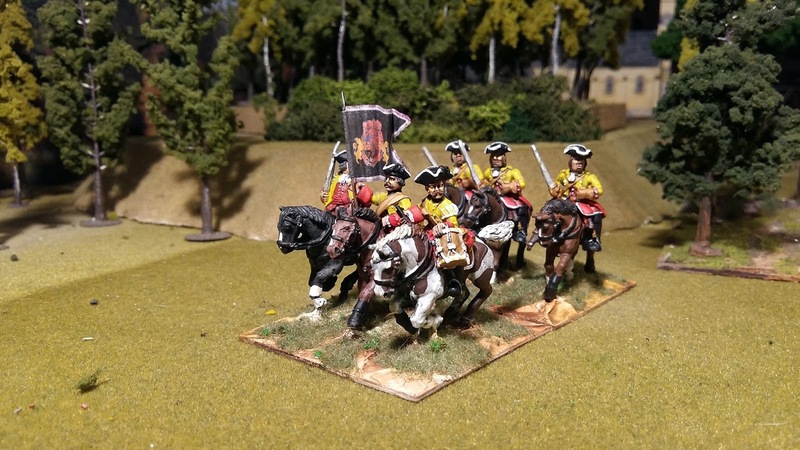 I'll probably do 5 or 6 regiments, each of two mounted squadrons and one dismounted, as the Spanish soldiers shipped across the Mediterranean from Barcelona to Naples went without their horses. They were forced to find Neapolitan replacements and that proved to be difficult. 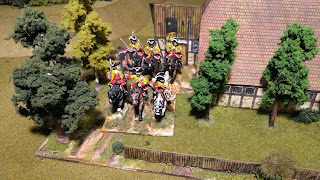 According to Manley, musicians favoured piebald horses too. 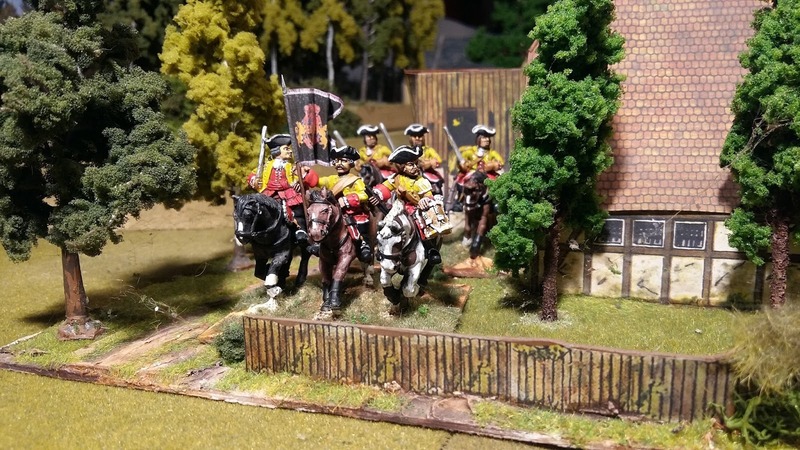 The figures are a mix of Foundry and Front Rank.